8 paper sessions with 24 inspiring papers reporting on various studies into many different aspects of mobility in language education as well as teacher and translator training. 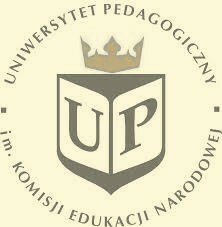 After two very successful and intellectually stimulating PL-CALL conferences (2013, Warsaw; 2014, Warsaw) and the PL-CALL day (PL-CALL Between in 2015, Kraków), we are going to convene for the fourth time, on 2-3 June 2016 in Kraków. The main theme of our 2016 conference is CALL for mobility, which is self-explanatory in today’s world, where everything, including language learning, is increasingly mobilized. computer-assisted activities stimulating intellectual agility: critical thinking, multiliteracies, etc. Abstracts (200-word long) should be submitted at registration. After the conference, selected papers will be published in a peer-reviewed monograph in the Peter Lang series Studies in Computer Assisted Language Learning.